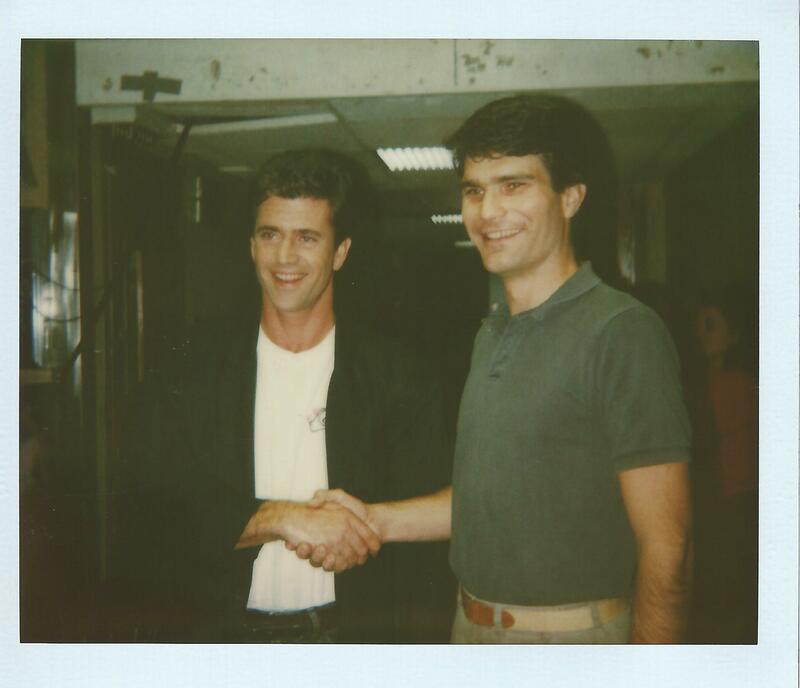 I was on the Late Night writing staff from September 1983 through February 1990. One of the perks of working on a late-night comedy/talk show is that you can sometimes get in front of the camera. 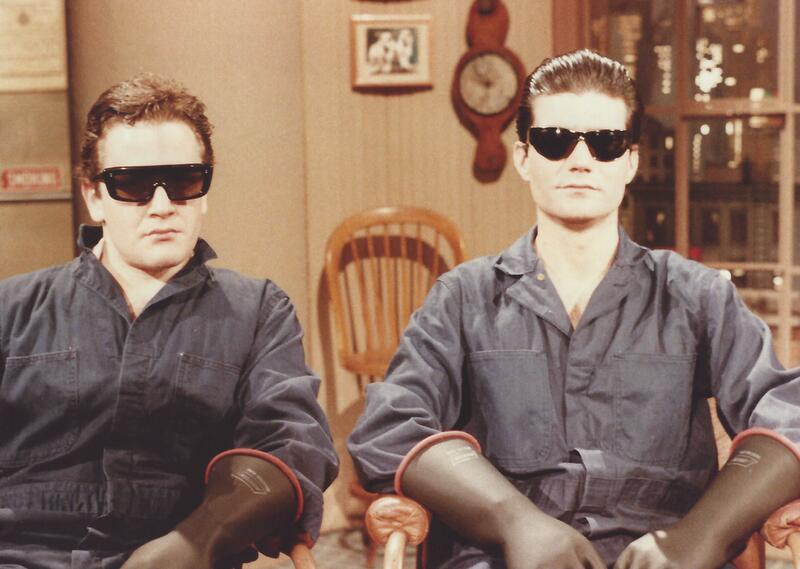 About a month after I joined the show, fellow writer Sandy Frank and I played the enforcers who disappeared “Conspiracy Guy” Chris Elliott. 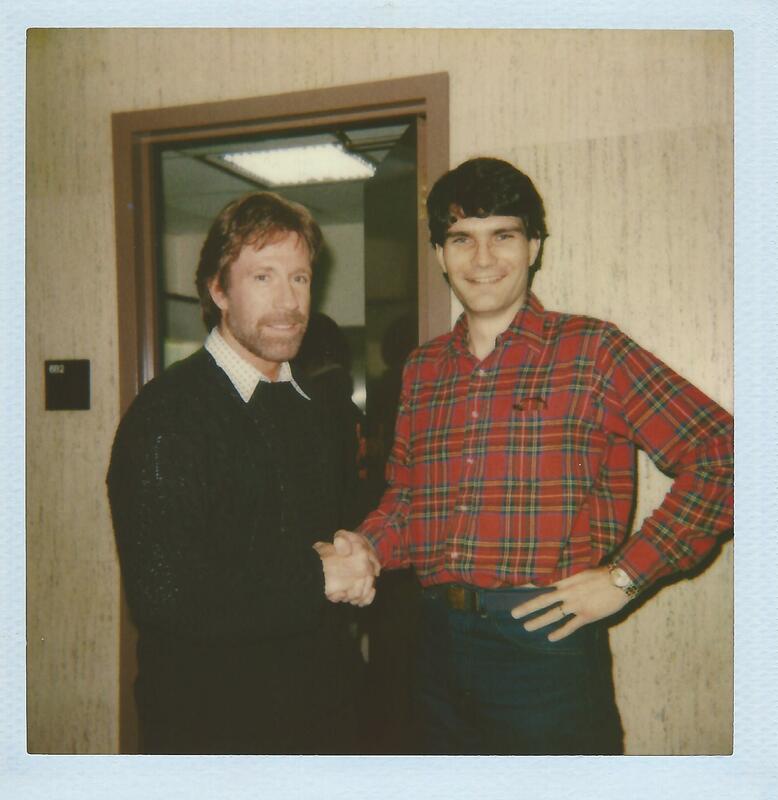 Sandy had a black belt in kung fu so he ensured that the wrist locks we put on Chris were authentic. Late Night was taped at 30 Rockefeller Plaza in Studio 6A. The makeup room was right across the hall from the control room, which meant that the writers had ample opportunity to encounter the guests. In June 1984 I encountered supermodel Paulina Porizkova, who was on the cover of the Sports Illustrated swimsuit issue. Sometimes a guest would take the elevator up to the production offices in 1410W after the taping. Brooke Shields visited in October 1984. The corkboards in the background display the guests and comedy pieces scheduled for upcoming shows. Each of those white cards stacked up next to my right shoulder represents a comedy piece in limbo. Arnold outside Studio 6A. His outsized persona made him a great comic character. 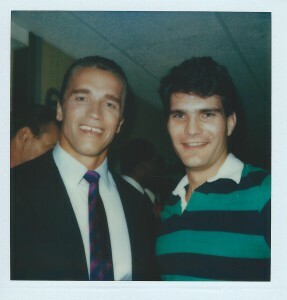 In October 1985 I wrote a Cold Opening for Arnold Schwarzenegger that got on the air. (A Cold Opening is a short, comedic scene that appears at the very beginning of an episode.) Arnold’s sense of humor made him a pleasure to work with. I went on to write three more Cold Openings for him, two of them on The Tonight Show with Jay Leno. 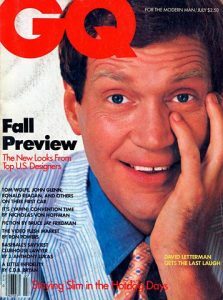 Dave, the writers, executive producer Barry Sand, and director Hal Gurnee appeared on the cover of the October 1986 Channels, a television industry trade magazine. We writers had never heard of the magazine but were thrilled to be on the cover of anything. About four years later the magazine went out of business. In February 1988 I was thrilled to meet another action movie icon, Chuck Norris. You can tell he’s a nice guy because he’s not crushing my knuckles. After Lethal Weapon came out I really wanted to meet Mel Gibson, which I did in November 1988. He was playful and friendly. In March 1989, head writer Steve O’Donnell and I portrayed Soviet generals in a taped response to a “Viewer Mail” letter. (Yes, the letters featured in that weekly comedy piece were actual letters from actual viewers.) 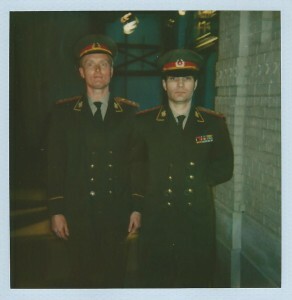 Despite my lack of training as an actor, I often played uniformed characters like cops, security guards, and soldiers. I think one reason is that my jacket size was 40 Regular so I fit into most of the uniforms on hand in the show’s wardrobe department. 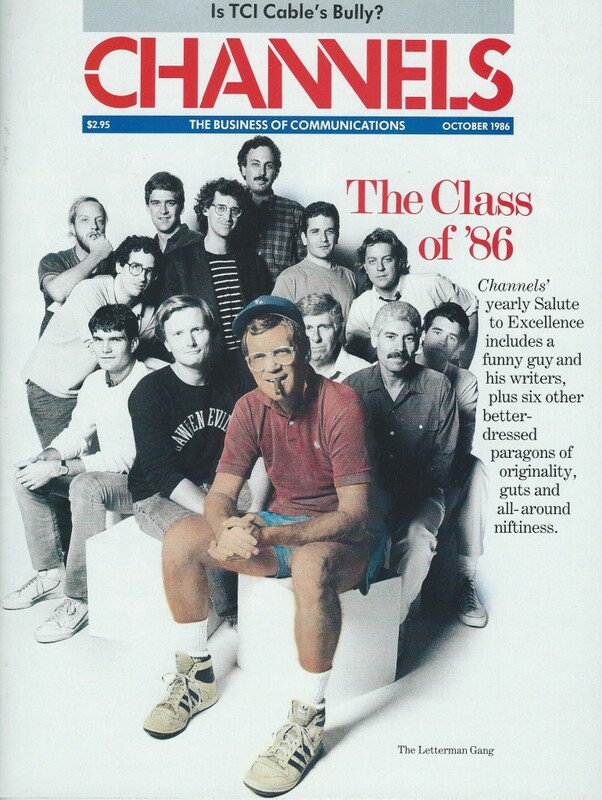 This photo shows the Late Night writing staff in September 1984. We gave it as a present to Steve O’Donnell when he took a temporary leave of absence. By resting our heads on our left hands we were playfully imitating Dave’s pose on the cover of a recent issue of GQ magazine.